This steel planter is designed and made in Bath, UK. 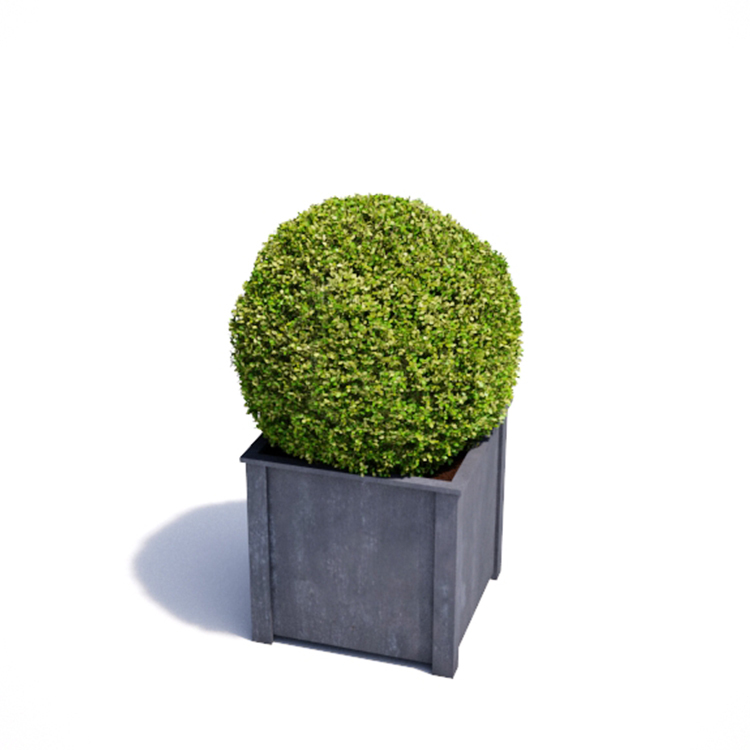 The planter has four elegant legs to aid stability and a raised base with holes for drainage. 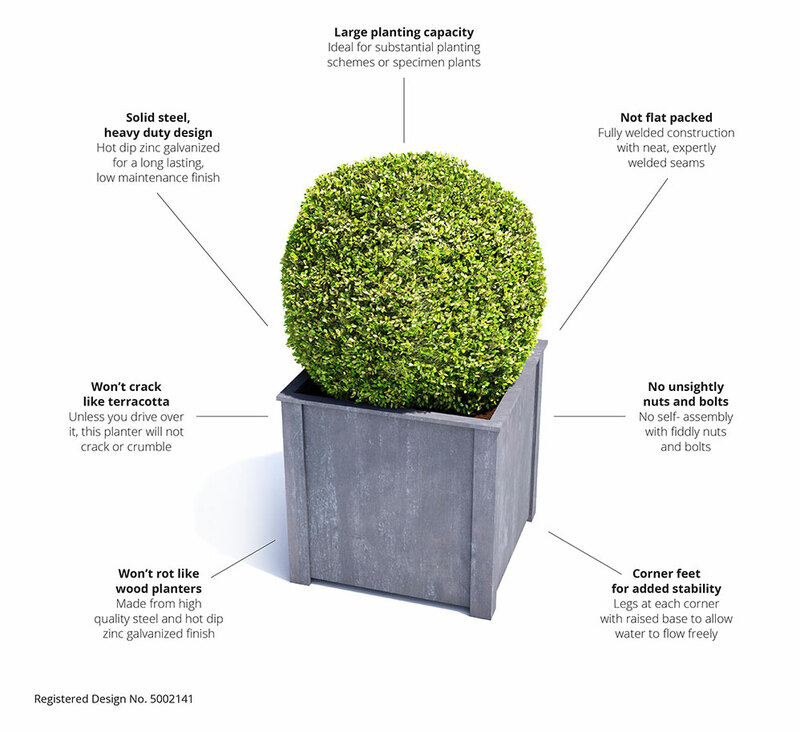 Zinc galvanized for durability, this planter requires no self-assembly.